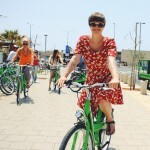 Imagine it is early summer, and you want to do a road trip to the European South. Skip the crowded beaches of Italy, and trade them for the relaxing paradise you can still find in Croatia. Drive by the (just as crowded) beaches of Krk, Pag and Northern Dalmatia and make your way to the most southern (bigger) island of South Dalmatia: MLJET. 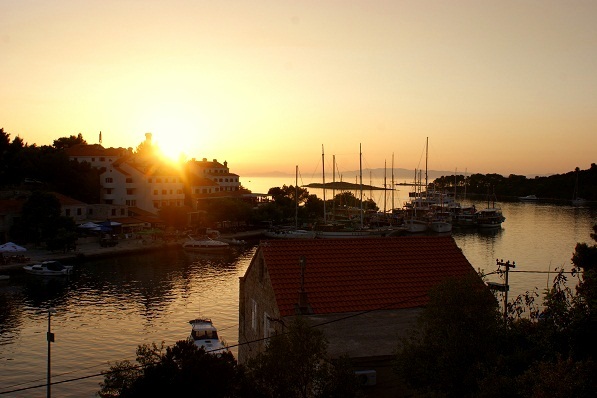 Once you’ve passed Brač and Hvar, 2 larger neighboring islands, you will soon reach the Bosnian border. For less than 10km you need to leave Croatia just to enter it again. The only way around this is the car ferry from Split to Dubrovnik, which takes hours and hours and is as always with ferries, quite expensive. At least you can now say that you have been to Bosnia as well. The ferry to Mljet (sorry now way around it this time) leaves from the Pelješac peninsula and takes about 45 minutes to reach the village Sobra. From here there are two ways to go. Many tourists choose to turn east to Saplunara because there they can find several hotels, camp grounds and much better infrastructure. We choose to turn West and enter the island’s national park. The western part of the island is covered by very old-grown forests, which has a relaxing effect on the climate. Compared to northern islands, like Pag it is not as hot and there is more shade to be found during the day. 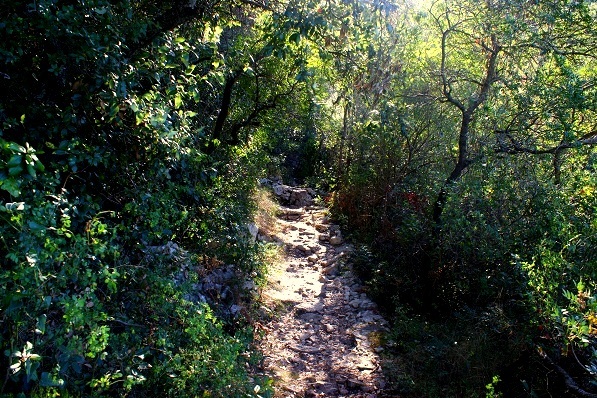 Plan a day to walk around and explore the paths through the forest! You will be able to reach the water at all times – sometimes it’s very easy, sometimes it takes some effort. 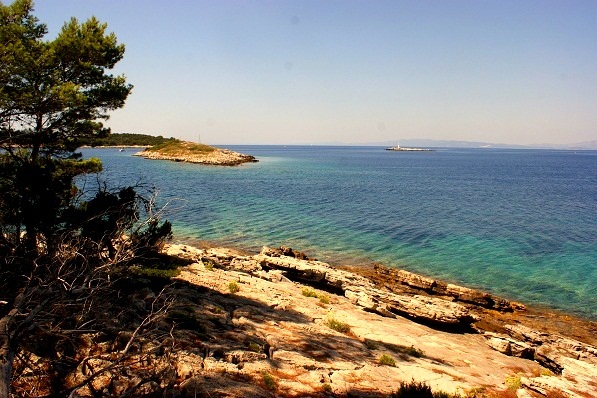 The western area of the island is protected under the name of National Park Mljet. The main attraction are two salt lakes and an old monastery located on an island within the larger one of the two. There are several hiking and mountain-biking tracks around the park, the easiest might be the path around the lakes. The lakes are connected by an artificial channel. The bridge crossing this channel is the main meeting point. There you can rent bicycles or canoes, or just watch the Croatian children splashing around in the shallow water. Even though it is a must-see on the island, the many paths provide a lot of calm places around the lakes. Some spots on the shore can only be reached by canoe, so prepare yourself for some calm hours! 4. 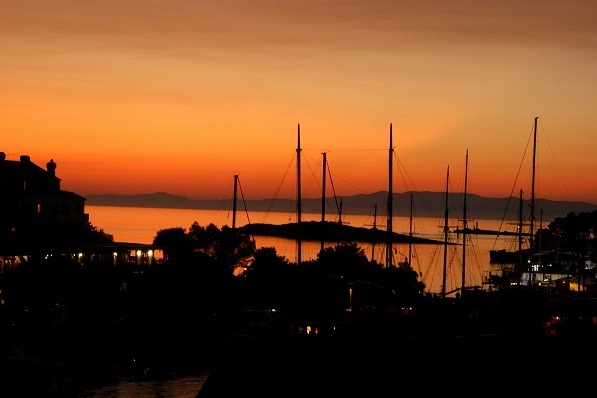 Mljet is home to the legendary Cave of Odysseus. Take your car to the main village of Babino Polje and watch out for a sign saying „Odysseus Cave“. Then continue by foot following the path leading south, away from the street towards the ocean. The descent takes about 25 minutes and is somewhat steep especially towards the end. From afar you can already see the huge gaping mouth of the cave. Go on following the path all the way down to the water from where you will notice two entrances to the cave. Both are hard to reach – you either have to climb down a steep gravel path or jump into the high waves and dive through a small underwater channel. 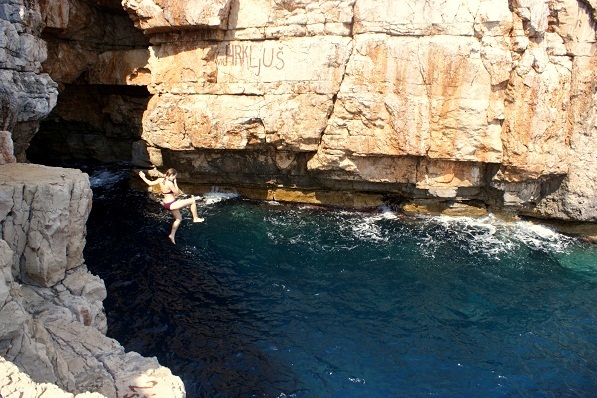 For those who are not keen on going caving this is still a great spot for a challenge (fear of heights, anyone?) and a cool bath. After testing the waters and befriending a couple of Italians we made our way through the channel and into the cave. It is about 20m deep and very bright because of the light shining through the opposite entrance. The visibility is amazing and you can see what appears like millions of fish and other pretty underwater folk. 5. Did you say ghost town? 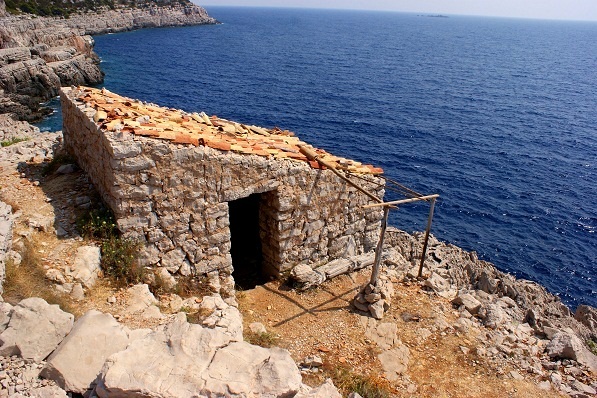 Like so many other Croatian islands, Mljet in facing a significant decline in population. Young people move to bigger cities along the coast or abroad, guest house hosts often live on the mainland and only rent out their island domiciles, the lack of infrastructure and jobs outside of tourism plays a role as well. Driving through a village like Babino Polje or some of the even smaller ones can feel like driving through a ghost town. Many houses are deserted, windows are often smashed, vegetation is growing uninhibitedly. It sure is sad that these islands get more and more deserted but there is no denying that those stone ruins create a very special atmosphere. 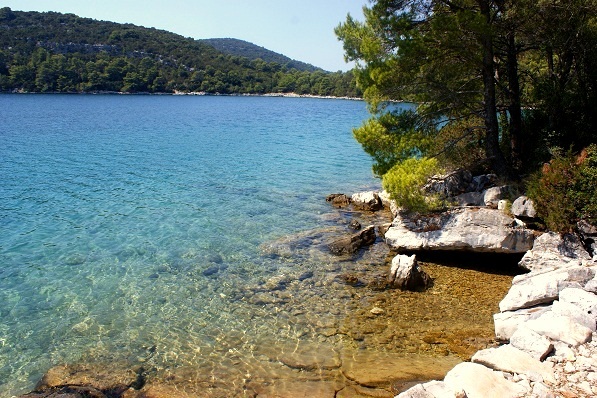 So, when you think about your next summer road trip, think of Mljet! One final tip – find accommodation in Pomena, not in Polače. 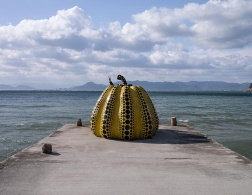 There is a hotel with free wifi, the salt lakes are in walking distance, and maybe you’re lucky and a fisherman takes you to the small island Pomeštak – true romance! I can only confirm what you said, because I was there last year and it is beautiful. There's noticeably a bundle to know about this. I assume you produced certain nice points in features also. so nice to see that somebody else has also been to Mljet and had a great time there. I visited Mljet (stayed in lovely Saplunara) 3 weeks ago and found the place AMAZING. As a nature lover and a person who prefers travelling to spots where there are not many tourists, I can only recommend it! I hope it will stay that untouched and that clean. I've written my impressions on my website devoted to natural living.